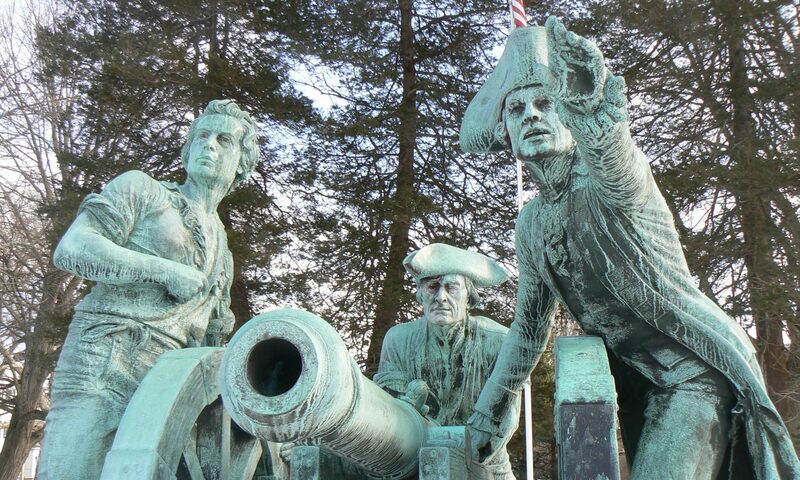 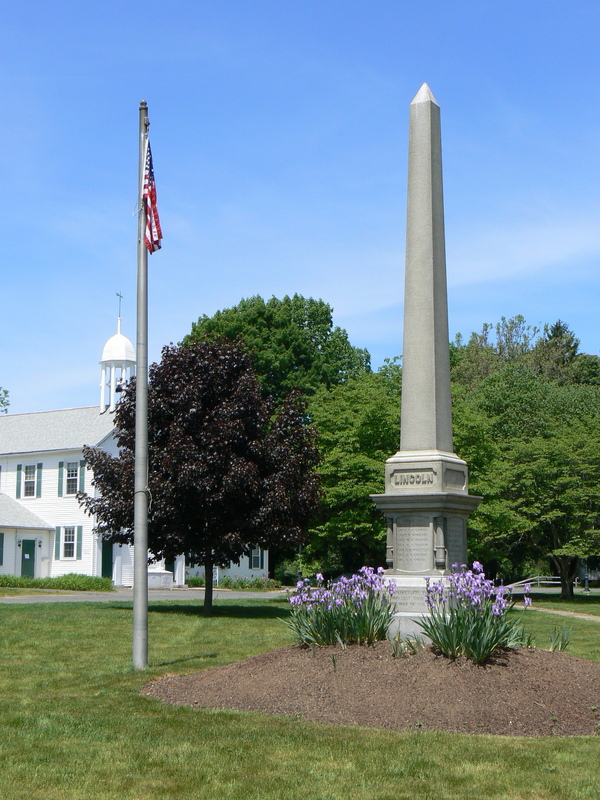 One of the state’s oldest Civil War monuments stands on the green in Plymouth. 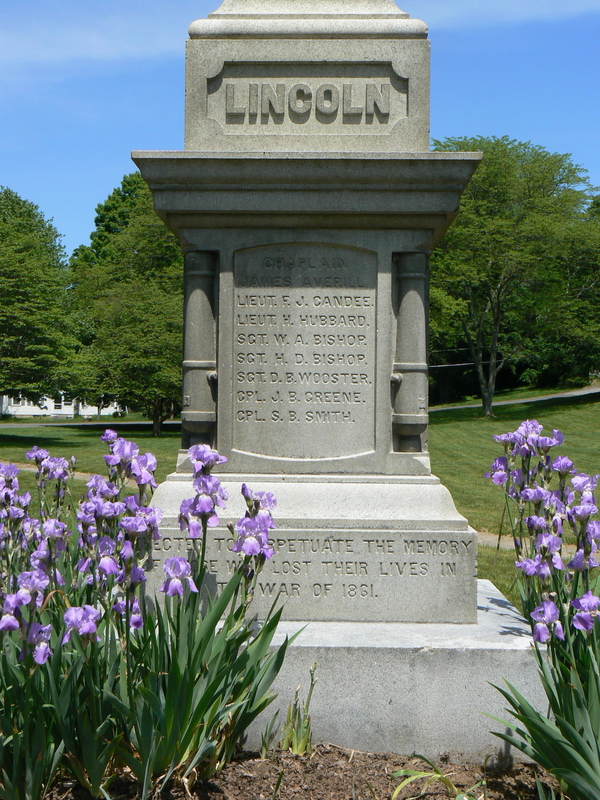 Although the dedication date of the monument was not recorded, local tradition and its appearance indicate it was completed shortly after the Civil War ended in 1865. 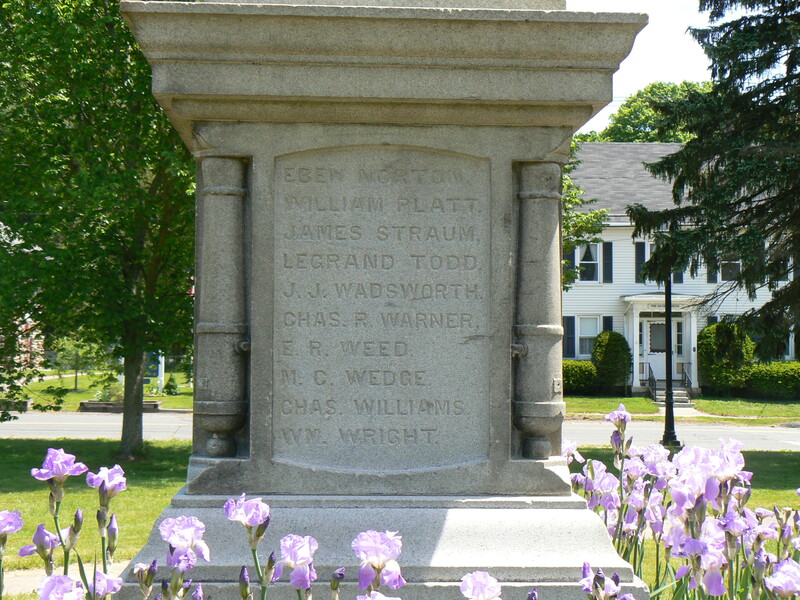 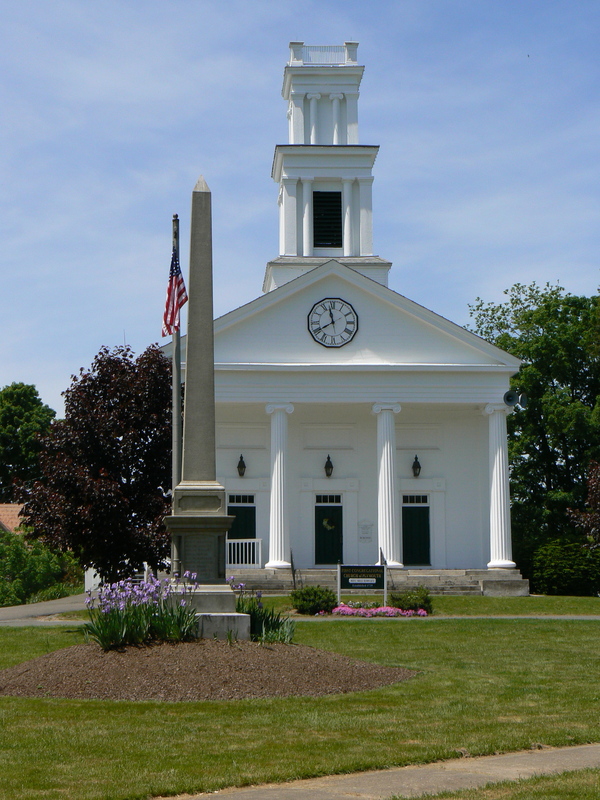 The monument is a tasteful obelisk, similar to the monuments in Northfield and North Branford that were both dedicated in 1866. The front (south) face bears the dedication “Erected to perpetuate the memory of those who lost their lives in the war of 1861” (this is an uncommon reference to the conflict, which is usually described as the “war to preserve the Union” or as the “war of the rebellion”). 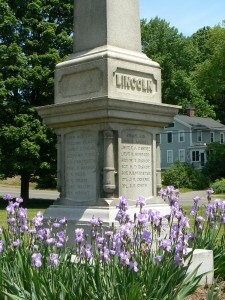 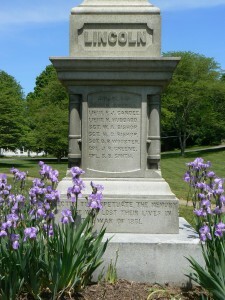 As the Northfield obelisk does, the Plymouth monument also bears Lincoln’s name on its front face. The south face of the Plymouth monument also bears eight names, including one who is honored for his service as a chaplain. 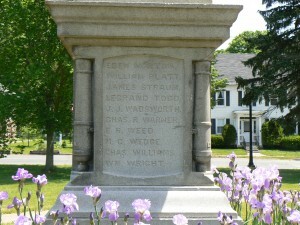 The east, north and west faces each list the names of 10 residents who served in the war. The corners of the obelisk are framed with carved cannons, a design element not seen in the Northfield or North Branford monuments.